The GSAT-7A, along with the GSAT-7 & GSAT-6 launched earlier, would form a band of communication satellites that would be used by Indian security forces. The satellite nicknamed the Indian Angry Bird was launched from Sriharikota, Andhra Pradesh. The Indian Space Research Organization (ISRO), the space agency of the Indian Government, has reportedly announced the successful launch of the GSAT-7A military communication satellite. Reports cite, the satellite, nicknamed the Indian Angry Bird is meant to be exclusively used by the Indian Air Force. The satellite would be connecting all Indian Air Force (IAF) assets such as planes, drones, air-borne early-warning control platforms and ground stations with each other. 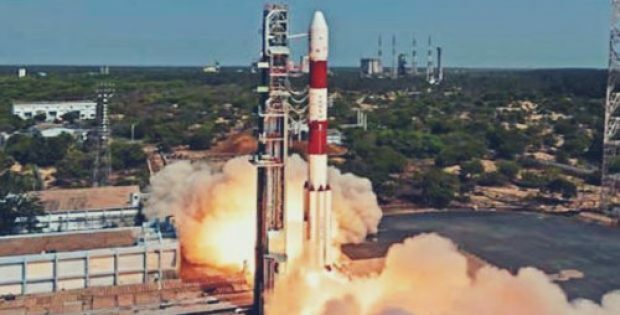 According to a report published by The Times of India, with the successful launch of the GSAT-7A, ISRO has not only given the IAF its own eye-in-the-sky but has also made a new achievement of successfully launching three satellites within a span of 35 days, the two earlier satellites being the HysiS launched on November 29 & GSAT-29 launched on November 14. Reports claim, the launch has significantly reduced the possibility of data snooping as well as data leaks that may occur while using satellites launched by foreign operators. Following the successful launch, ISRO Chairman Dr. K. Sivan stated that the launch was the seventh mission that was undertaken by ISRO within a span of 35 days, with three rockets and four satellites previously launched from the Sriharikota launchpad. Dr. Sivan further added that the upgraded version of GSLV MK II rocket performed its task marvelously during the launch. The upgraded GSLV MK II (Geosynchronous Satellite Launch Vehicle) driven by an indigenous cryogenic engine was responsible for successfully putting the 2,250-kg communication satellite into its orbit. According to reports, the GSAT-7A military communication satellite would have a mission-life of about eight years.